This is a very special book to me because it is the first book that made my youngest daughter fall in love with reading. My older daughter never struggled to read, once she started she's just never quit. She is almost as much of a book nerd as me, plenty of nights I find her up reading well after midnight. *gasp* My younger however was a 'late reader'. She struggled learning to put letters together, to understand how to sound them out, how to make them into words. She wanted to be a reader so badly, her sister, her mom, her dad, all of us are huge readers, she would see us sitting around with our books and she wanted to be a part of that but became discouraged when she just couldn't grasp the concepts and find a book that caught her interest enough to make her want to read fully on her own...until The Princess in Black. Pink frilly dress wearing, tea making Princess Magnolia is exactly the princess you expect her to be. She's proper, she's poised, she is regal but; it's all a cover up. What no one knows is that Princess Magnolia also dons a black mask and cape and instead of just making tea and being a princess she is the hero her land needs and saves them all from the monsters that live a bit to close. Besides the reason I stated above I love this book because I love the lesson that a girl can be who ever she wants to be even when she's expected to do certain things, act certain ways. The lesson that a girl can be more than just one thing, she can be both a princess and a secret dare-doing hero. The lesson that a girl is more than what society expects and she doesn't HAVE to play by society's rules. We loved the action and adventure contained in the book. There is a real story here, not just simple sentences and words created to make a child read... This is a book created to make a child LOVE to read. To give them a story that is interesting, fun, and exciting. I loved that when my youngest would read a chapter she would run to me to tell me all about it right away. It excited her and had her going back to read over and over. She's a child who went from wanting to read on her own but struggling and getting discouraged by it to reading a book in three days, imagine the excitement of that. Of her knowing she can do it and the joy of getting to share it with her family! Finally the last thing I loved is the pages. I loved the feel and thickness of the pages. I love the illustrations, bright, engaging, and fun. The pages are glossy and thick making them very tactile and easy for little hands, a good transition from the thickness of a board book. This is a great read for any early reader but also most middle grade readers. It may be a quick book for them but it's totally fun and enjoyable and who doesn't need just a quick fun read every now and again? I suggest this for anyone with little readers in their house but highly suggest the series for those that have readers who are struggling. A few years and many rejections later, she published her first book, The Goose Girl, an ALA Teens' Top Ten and Josette Frank Award winner. Enna Burning, River Secrets, and Forest Born continue the award-winning Books of Bayern series. Newbery Honor winner Princess Academy is followed by New York Times best seller Princess Academy: Palace of Stone and the upcoming Princess Academy: The Forgotten Sisters. She is currently writing a third book to complete the series. Book of a Thousand Days received a Cybils award and was featured on many best of the year lists. Her first book for adults, Austenland, spawned a film which premiered at the 2013 Sundance Film Festival. The movie was released theatrically and on video by Sony Pictures Classics. Shannon co-wrote the screenplay with director Jerusha Hess. A companion novel, Midnight in Austenland, is now in paperback. Her third book for adults, The Actor and the Housewife, was the City Weekly readers' choice winner for best novel of the year. 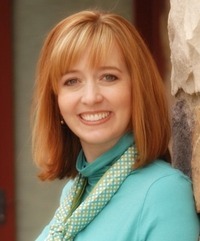 She and her husband Dean Hale co-wrote the graphic novels Rapunzel's Revenge, an Al Roker's Book Club for Kids selection, and its sequel, Utah Book Award winner Calamity Jack, both illustrated by Nathan Hale. 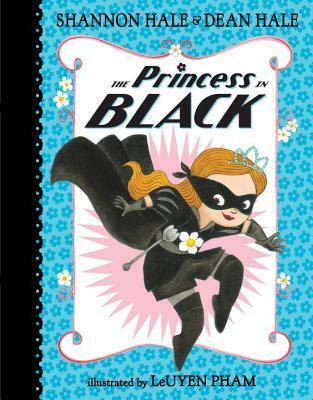 They're launching an illustrated chapter book series with the upcoming Princes in Black, illustrated by LeUyen Pham. Shannon's Ever After High books have been runaway bestsellers, supported by Mattel's animated series and doll line. She makes her home near Salt Lake City, Utah, USA, with her super-human husband, their four young children, and their pet, a small plastic pig.